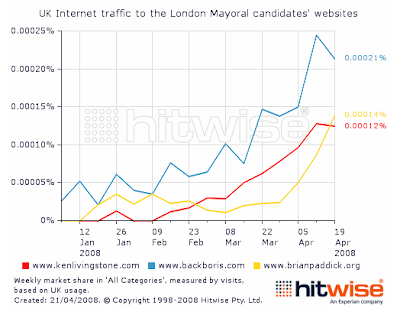 The London Mayor election is in the final week of internet campaigning. 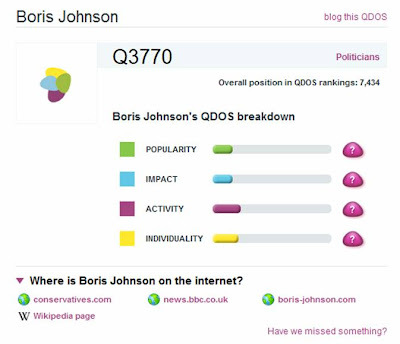 Online is playing an increasingly important role in the election strategy and there have been some interesting initiatives and developments, however the majority of prominent web trends tools still show Boris Johnson leading. 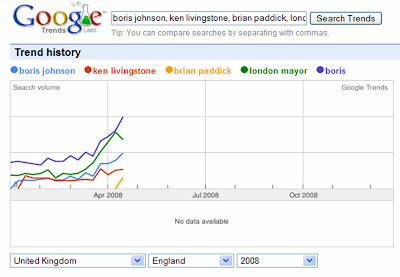 Boris Johnson and the Back Boris campaign are (strangely) still not using Google for advertising and even though it has not featured in their campaign to date, I am surprised that they are not making use of Search as the campaign enters its last week. 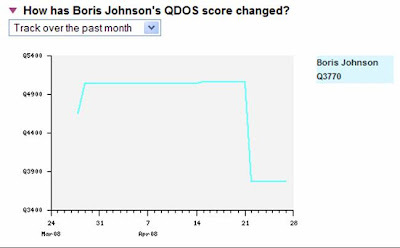 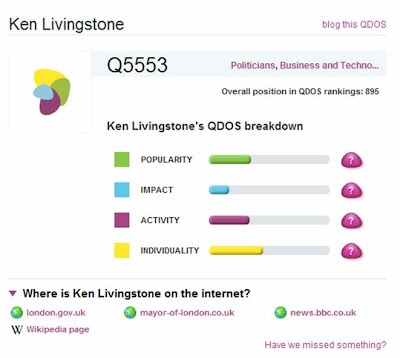 However the QDOS system is still in Beta (and therefore not 100% reliable yet) and when you analyse the Boris Johnson score it has a strange anomaly where he lost about a third of his ranking on one day last week?